Are your servers ready for Windows Server 2008? Download and install the Microsoft Assessment and Planning (MAP) – it’s free. 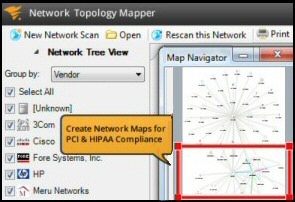 The technique is to ask the Wizard to check all the servers on your network, and reports back on the hardware’s fitness to run Windows Server 2008. Incidentally, this tool was formerly known as Windows Vista Hardware Assessment (WVHA), I mention this because you can also use this MAPSA utility to check the readiness of client machines for Vista. Even though I am (allegedly) a computer expert, I have a cavalier approach to installing. For software to get the ‘Guy seal of approval’, it must pretty much install itself, it certainly should not require me to read the instructions before I can try it out. I don’t mind clicking the ‘Next’ button, or typing the occasional keyword, but any installation causing brain-ache, or requiring a degree in mind reading, fails the Guy set-up test. I installed the MAPSA tool on a Domain Controller. The wizard even produced an Excel spreadsheet summarizing the reports and proposals for all the W2K3 servers and XP machines on my network. What’s new with MAPSA is the ability to assess XP or Vista machines for Office 2007. Also If you check the box, Microsoft’s SoftGrid would identify applications that could run in a virtual server. Conclusion: The Microsoft Assessment and Planning Solution Accelerator does an excellent job – even in the hands Guy, the installer from hell. The Wizard uses WMI (Windows Management Instrumentation to interrogate the operating system. It queries hundreds of Win32 objects, and thus discovers information about hardware devices and software versions. The benefit of establishing a SQL database is that the Wizard can lookup the results against a knowledgebase. I assumed that this is how it deduces which Windows Server 2008 edition to recommend for a given memory, and CPU configuration. As a bonus, the MAPSA report indicates which roles you should consider for your Windows Server 2008 machine. If you have an Active Directory domain, then the Microsoft Assessment and Planning Solution Accelerator uses that database to locate the computers so that it can run a battery of tests. It is also possible to run the Wizard on an individual machine. A thought just crossed my mind, I must look for an old machine with moody software, just to see what recommendations the Wizard would make to bring the machine to Windows Server 2008 readiness. 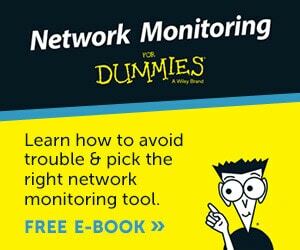 Please note, you need to open up a number of TCP Ports for WMI and DNS to find computers on the network, for example, open ports, 135, 137, 138, 139 and 445. Hmmm, I may as well temporarily disable the firewall! Incidentally, the Microsoft Assessment and Planning Solution Accelerator utility is in the same branch of the family as XP’s Upgrade Advisor. I think of this MAPSA as son of WVHA, which in turn, was son of Upgrade Advisor. All members of this family branch are free and well behaved! Get your copy from Microsoft’s site. 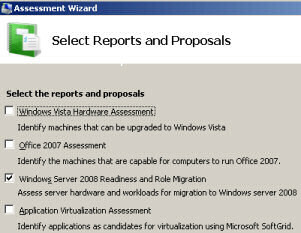 The best feature of the Vista Hardware Assessment report is the way that it spells out precisely what you must do to bring your computers up to Windows Server 2008 standard, for example, increase RAM or buy a bigger hard disk. When you drill down to the detail, the report even tells you which drivers are included on the Server 2008 DVD, and which you need to obtain from the manufacturer’s site. One pleasant surprise is that the MAPSA wizard reports on the software that is installed. None of my machines had any incompatible software. I felt like going out and looking for some incompatible programs, just to see how the Wizard reported software that would not run on Windows Server 2008. You could argue that the Assessment Wizard is worth running just to get a detailed inventory of the hardware components and device drivers for each machine on your network. That view may be overplaying the usefulness of this MAPSA tool, but nevertheless, the sheer detail of the Wizards output means that there is some fascinating snippet for everyone. This is a free add-on, so it’s best to get your copy from Microsoft’s Download Center. As MAPSA replaces WVHA, there have been a few changes to the precise URL. This was the link I used for my lastMAP SA download. When you install MAPSA on Windows Server 2003 (also on Vista or XP), the Setup Wizard guides you through the installation of SQL 2005 Express. Just look for the option: Download and install Microsoft SQL Server 2005 Express. Microsoft’s – "Works with Windows Server 2008" tool. Handy for testing compatibility. 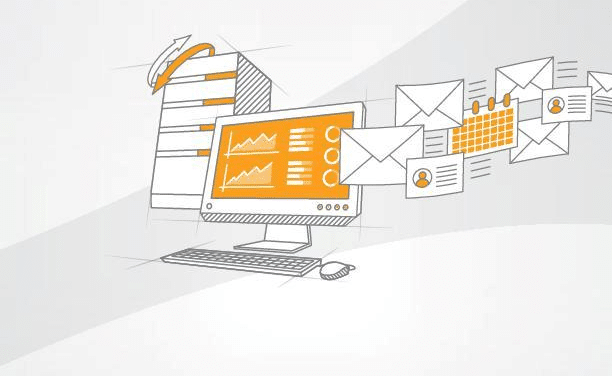 Upgrading a server to a newer version of the operating system can be a nerve-racking business. 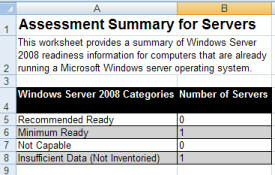 When it comes to evaluating Windows Server 2008, the Microsoft Assessment wizard reduces some of that worry. Remember that the MAP SA wizard produces an Excel spreadsheet with multiple worksheets, so make sure you check the tabs at the bottom.